-the top of four layers of silk shibori flowers in this last box shipping out to the show today. almost too pretty to close. 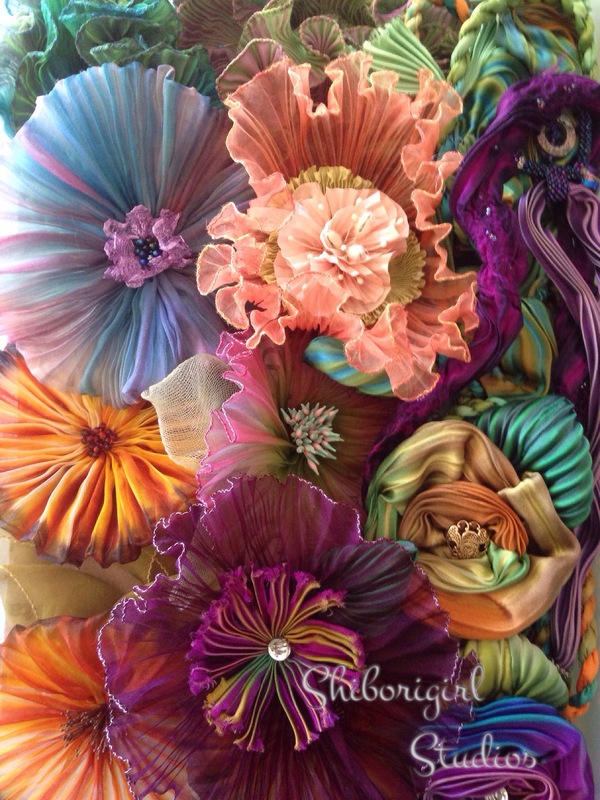 This entry was posted in arashi shibori, flowers, houston quilt festival, shibori ribbon, silk, silk shibori ribbon flowers, trade shows, where to find my shibori, wondering, workshop and tagged houston quilt festival, shibiri ribbon, silk shibiri flowers on October 21, 2015 by shiborigirl.